The rabbits search for a new home. It’s a tale of survival, pain, and the unyielding power of hope that rings just as true now as it did almost half a century ago. The first trailer for BBC One’s Watership Down is here, boasting an A-level cast and a powerful message about doing whatever it takes to seek a better life. Based on the novel by Richard Adams, the four-part miniseries (in the works for a few years now) stars X-Men: First Class actors James McAvoy and Nicholas Hoult as Hazel and Fiver, two brothers who lead a group of rabbits in search of a new home, or warren, after one of them gets a vision that their current one will be destroyed by humans. The group faces numerous trials along the way to finding their new warren of Watership Down, including attacks from predators and farmers...as well as a rising threat from a dystopian warren led by a totalitarian. There’s a strong theme of holding true to one’s ideals of freedom and equality in the wake of fascism—something that feels especially important nowadays. But it also centers around a group of refugees who escape a doomed homeland in search of a better life for themselves and their loved ones. It’s a story that shows compassion for those in need, no matter where they come from, something we can all take to heart. 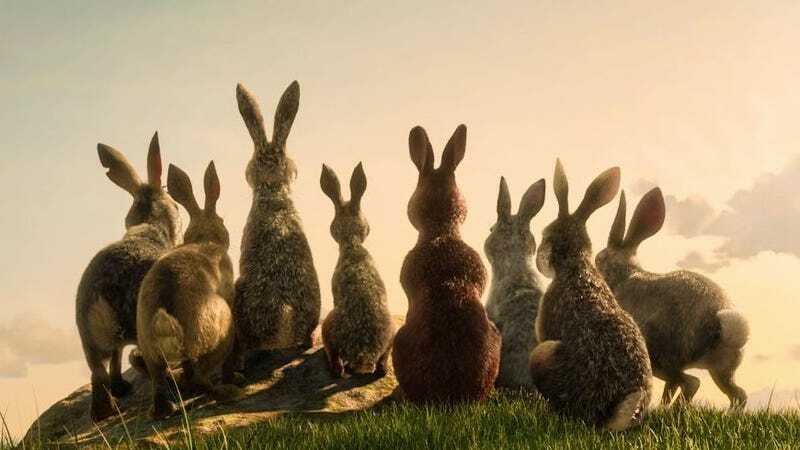 In addition to McAvoy and Hoult, Watership Down also stars John Boyega, Peter Capaldi, Daniel Kaluuya, Rosamund Pike, Taron Egerton, Olivia Colman, Ben Kingsley, Gemma Arterton, Tom Wilkinson, Lee Ingleby, Gemma Chan, and Daniel Rigby. The animation doesn’t look stellar, but with this series I don’t think that’s the focus. It’s really about the story. And it’s one that’s not only powerful and poignant, but relevant. Watership Down debuts on BBC One from December 22 to 23, and will be released on Netflix December 23.